Paarl Boys’ High (1868) and Grey College(1855) are among the oldest schools in South Africa with both schools having a significant pedigree of rugby history, heritage and tradition. They first played each other in 1950 and did not have a regular fixture every year due to the distance between the schools. Grey and Paarl Boys’ High (also known as Boishaai) played each other 20 times from 1950 up to 1995 and since then it became an annual fixture. In total they have now played 39 matches with Grey having won 31, Paarl Boys won 6 and 2 Draws. The average score for these matches over the last 62 years is 21-10 in Grey’s favour suggesting that it is usually not a big scoring affair but that Grey clearly has the upper hand when it comes to matches between these two old rivals. The two schools are rated as the two top sides in the country at the moment and this match is anticipated as the true clash of the titans! Grey College will be eager to re-establish themselves as the top dog in school’s rugby after their previous season when they were plagued by injuries. In 2015 Grey suffered 24 injuries but the replacement players stepped up well and doesn’t look like the team was any weaker because of it. Paarl Boys on the other hand has set the benchmark since 2015 and has been unbeaten in 45 straight games until Grey College was first team to break this unbeaten run in 2018 in Paarl. The two teams play a totally different style of rugby. Grey College likes to play at a high pace and thrive on turnover ball and counter attacks. While the Paarl team is more renowned for their solid defence and structured play where they wear a team down and then attack wide with their speedy backs. Premier Interschools proud to present you with this premier school rugby clash. In 1956 Boishaai traveled up north to play Grey in Bloemfontein and it was during this game that legendary Springbok center Mannetjies Rouxfrom Paarl Boys’ High was first noted by Sports Editor from Die Volksblad Herman le Roux, who then predicted that Roux would be a future Springbok. 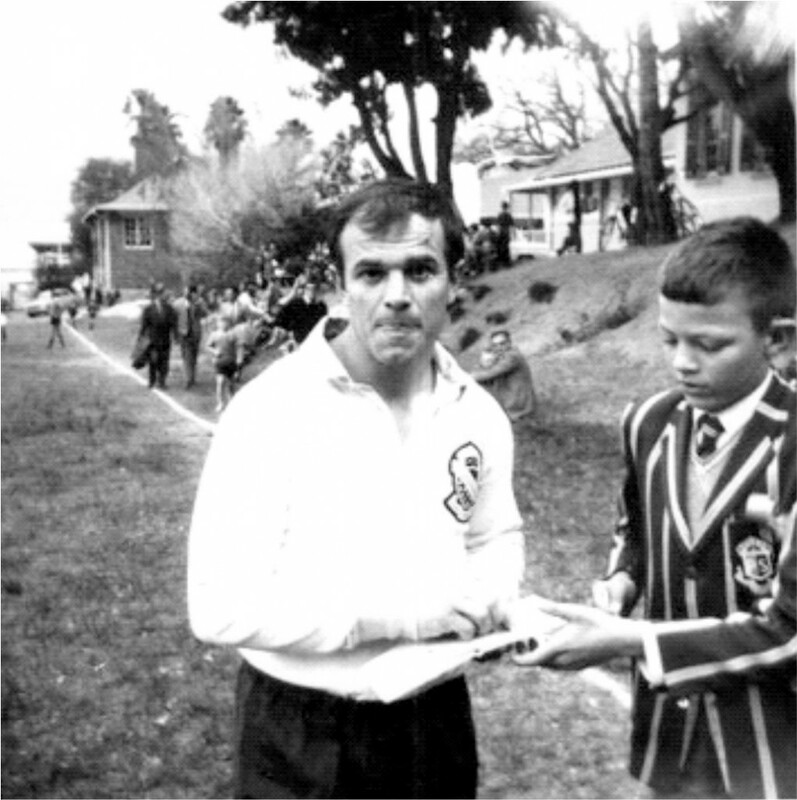 Although Grey won 13 – 3, Roux had a sublime game for Boishaai and it was only six years later that he scored that famous try (again in Bloemfontein) against the 1964 British Lions of Arthur Smith. During the late seventies two very famous Springbok and SA Schools wings (Carel du Plessis and Jaco Reinach) played for Paarl Boys High and Grey College respectively and later became team mates during the 1986 Springboks against the New Zealand Cavaliers. Carel, prince of wings from Boishaai, played in 1978 against Grey which Grey won 29-13. A year later, in 1979 Jaco Reinach (double Springbok in Rugby and Athletics) was Grey’s wing against Boishaai in a match won by Boishaai 15-13. In 1980, Jaco again played first team for Grey against Boishaai in a Grey team that starred 5 SA Schools players including Jurie Erwee (Captain), Jaco Reinach, Joepie vd Merwe, Koen Pieterse, and Hendrik Daffue. Grey won 13-4. Helgardt Muller (who played SA Schools in ’81 and ’82) and Joubert Strydom (SA Schools Nuffield Cricket Captain) was also part of the 1980 Grey College First Team. Jaco Reinach (double Springbok from Grey) played against Paarl Boys High in 1979 & 1980 and later became Springbok team mates with Carel du Plessis (Boishaai 1978) against the 1986 NZ Cavaliers. In 1993, the only SA Schools Captain (to date) that became Springbok Captain, was the Paarl Boys’ High Captain, Corne Krige. Against Grey College, Corne was leading the Boishaai team from the front and will always be remembered for his crash tackles during this game which kept the scores at a 0-0 draw. 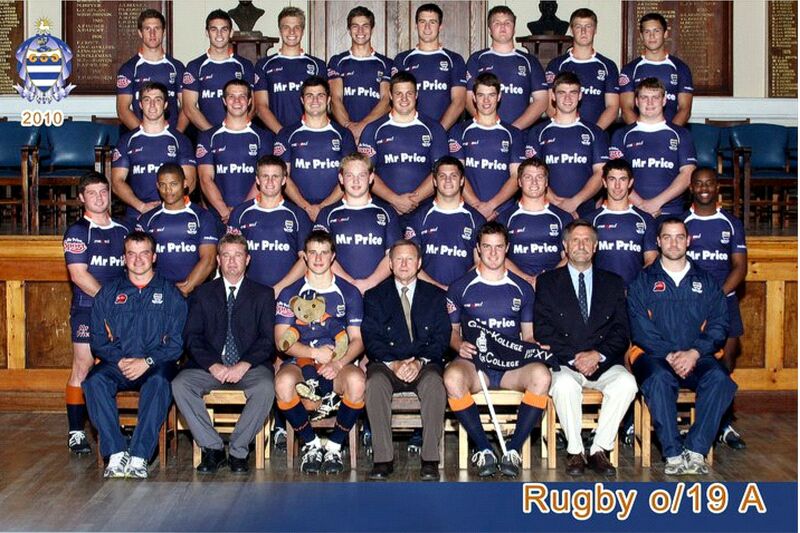 The last Boishaai team to beat Grey was in 2000 which boasted the likes of JD Moller, Neil Fullard and Jasper Loubser who did not have their equal in schoolboy rugby that year come scrumtime and 10 + years later is still regarded as one of the best scrummaging pack in schoolboy rugby over the last decade. Grey had future provincial players such as Tewis de Bruyn, Bobbie Joubert and Barry Goedewhen Boishaai won the game 17-10 in the Paarl. Last year the 2011 Boishaai team nearly caused a major upset in Bloemfontein to end Grey’s long standing winning streak. Boishaai wing JP le Roux went over in the corner with the scores tied at 15 all and time virtually up on the clock. He was adjudged in touch by the touch judge and this was later proved to be a very good call on photographic evidence. At the final whistle Grey and Boishaai drew 15 all. History will show that Grey is the overwhelming favourite to win once again, but looking at the current season, perhaps the wise pundit will ignore history for a change. Both teams have very similar results this season so far. They have played 3 mutual opponents, both winning against Monnas and Waterkloof and both losing to Affies. It is therefore on paper a very even contest and too close to call. Both teams also suffered some injuries to key players with perhaps Boishaai being hardest hit with their talisman No 7 flank Ryno vd Merwe out with concussion and playmaker at 13 Neil Maritz out due to a broken thumb. Grey will miss captain Henco Greyling due to a shoulder injury sustained against Selborne 3 weeks ago. 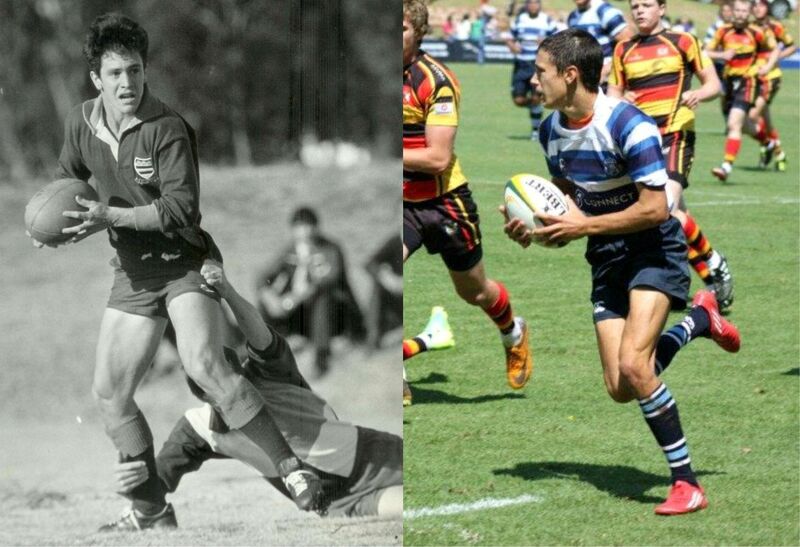 An interesting twist to the 2012 tale is the fact that the Boishaai left wing Dante vd Merwe is the son of Grey Old Boy Ruan vd Merwe (1986) who also played Grey First Team and Free State Cravenweek in 1985 and 86. For which team Ruan is supporting on Saturday still remains a mystery and will only be revealed once the final whistle has blown! Grey has served Bloemfontein, the Free State, South Africa and the rest of the world well, over the past 150 years. Grey has been able to make adjustments and remain relevant in a changing environment in which it has developed, grown and excelled. The brand is known and revered throughout South Africa and even internationally and the products of the school make a positive difference wherever they are. Parallel medium education, tolerance, respect for others and loyalty to the school are not only traditions, but firm foundations in a global village. Grey is structured on these foundations and it is constantly adapting to new developments. The wave of change washing over our country confirms the value of Grey’s traditions. Paarl Boys’ High has featured in the academic merit list of the Western Cape for ten years running and has been featuring in the top ten for the duration as well, making it one of the top academic schools in the province. The school is bilingual, with classes in English and Afrikaans and has been maintaining a 100% pass rate for over a decade. PBHS has produced 21 players that have represented South Africa since 1906. They have provided some of the legends and most famous Springbok rugby players ever to have played in the Green and Gold. Players like Oom “Boy” and Fanie Louw, Piet “Spiere” du Toit, Mannetjies Roux, Ryk van Schoor, Carel Du Plessis and Corné Krige. Grey College was founded on 13 October 1855 when Sir George Grey, the then Governor of the Cape Colony, paid a visit to the Orange Free State Republic and donated a sum of money towards the establishment of an institution for higher education. The foundation stone was laid by Jacobus Nicolaas Boshoff, the second President of the Orange Free State Republic, on 13 October 1856. Grey has served Bloemfontein, the Free State, South Africa and the world well over the past 150 years.Grey has been able to make adjustments and remain relevant in a changing environment in which it has developed, grown and excelled.The brand is known and revered throughout South Africa and even internationally and the products of the school make a positive difference wherever they are.Parallel medium education, tolerance, respect for others and loyalty to the school are not only traditions, but firm foundations in a global village.Grey is structured on these foundations and it is constantly adapting to new developments. The wave of change washing over our country confirms the value of Grey’s traditions. Grey has produced 45 Springbok rugby players. Since WW II it has produced more Springbok players than any other school in SA. There were 5 Old Greys in the 1999 World Cup squad, Ollie le Roux, Naka Drotské, Ruben Kruger, Werner “Smiley” Swanepoel and Pieter Müller. In the 2007 winning World Cup team there were again 5 Old Greys, CJ van der Linde, Jannie and Bismarck du Plessis, Ruan Pienaar and Francois Steyn. Grey had 6 representatives in the 2011 Rugby World Cup Springbok team in New Zealand – Jannie du Plessis, Bismarck du Plessis, Frans Steyn, Ruan Pienaar, Heinrich Brussow, and CJ van der Linde.